This was beautifully written! It was a wonderful tribute to Bobby and the Broadway singers who are fantastic! 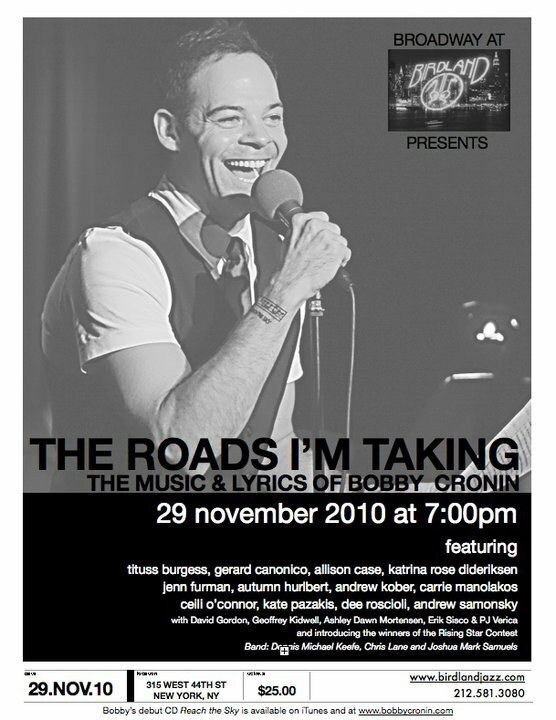 Yes, “the best is yet to come” for Bobby Cronin….he has believed and worked so hard to get to this point in his life. You have a talent for writing and put together a wonderful piece to honor Bobby’s exciting night with the talented singers who sang & performed his music. Thank you very much for your kind words about my review. I’m glad you enjoyed it so much and for letting me know!